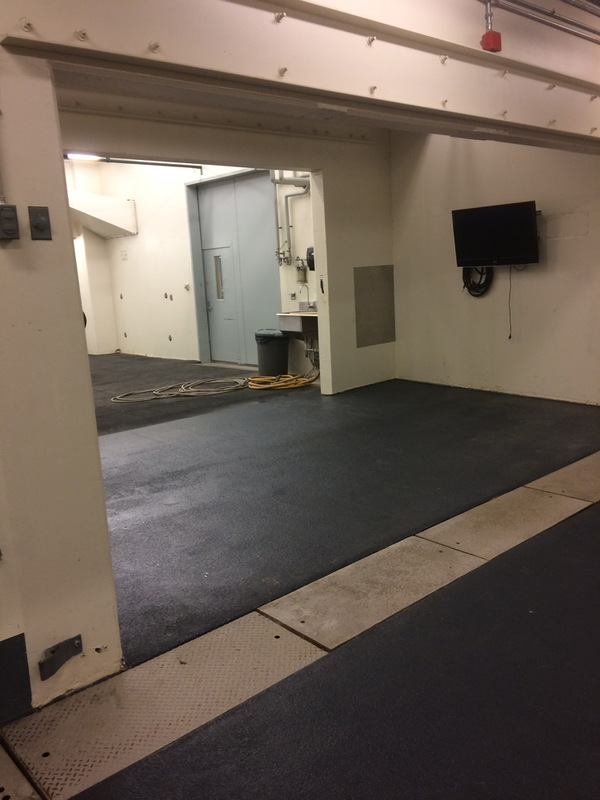 OSU Installed Polylast Super Duty Flooring! 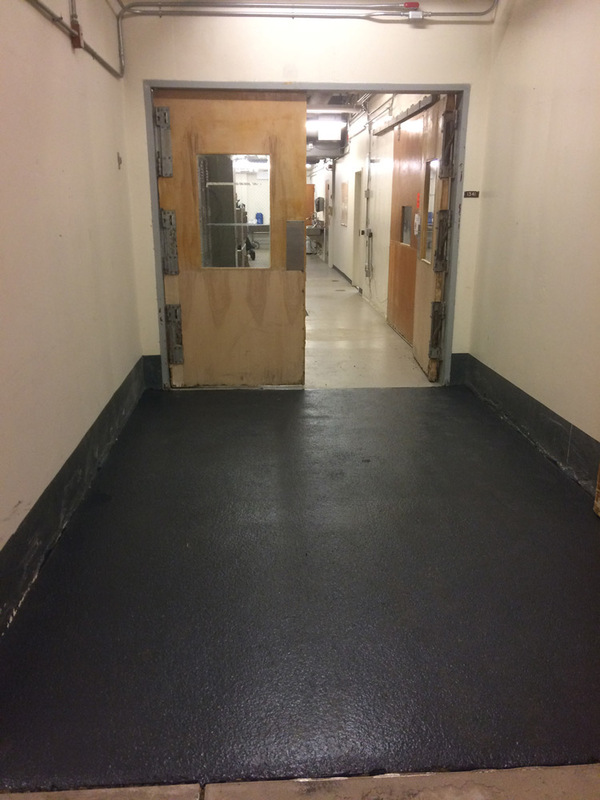 Over the course of 2 months, we installed 15,000 SF in a working Ohio State University Veterinary Medical Center that never shut down…Helping to protect staff, students, animals and visiting guests from dangerous slips and falls and the damaging bacteria that they can encounter daily. 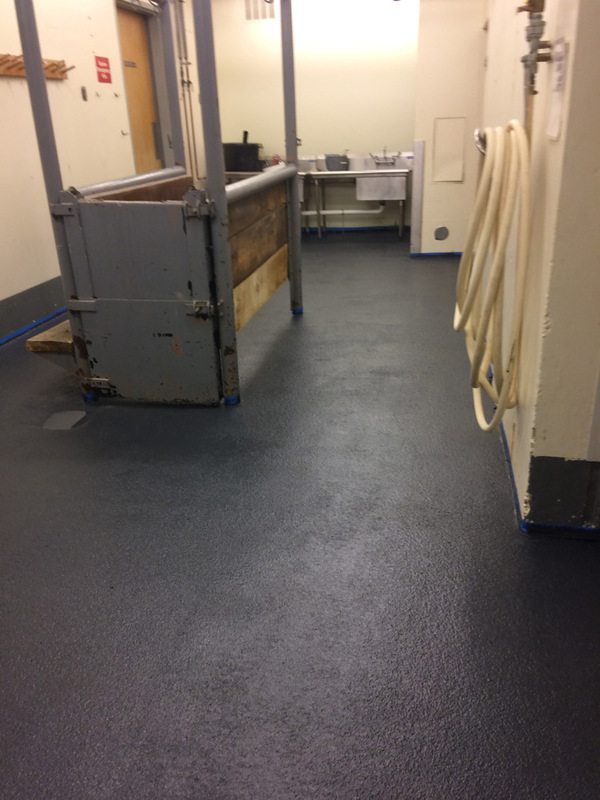 Ohio State University Veterinary Medical Center installed the non-porous horse flooring system called Super Duty, that is great for Veterinary Clinic Flooring, and Stall Lining. 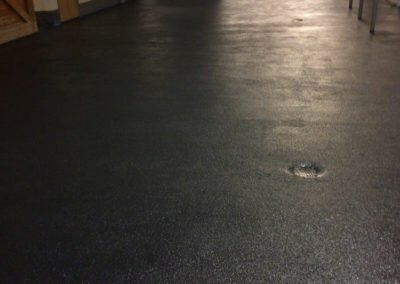 The base of the Super Duty flooring is exactly the same as the porous variation. 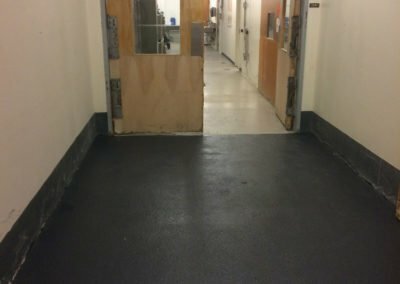 When installed as Veterinary Clinic Flooring, or a stall liner, a proprietary top coat is added that seals the spaces between the crumb of the porous product, making it completely liquid proof. 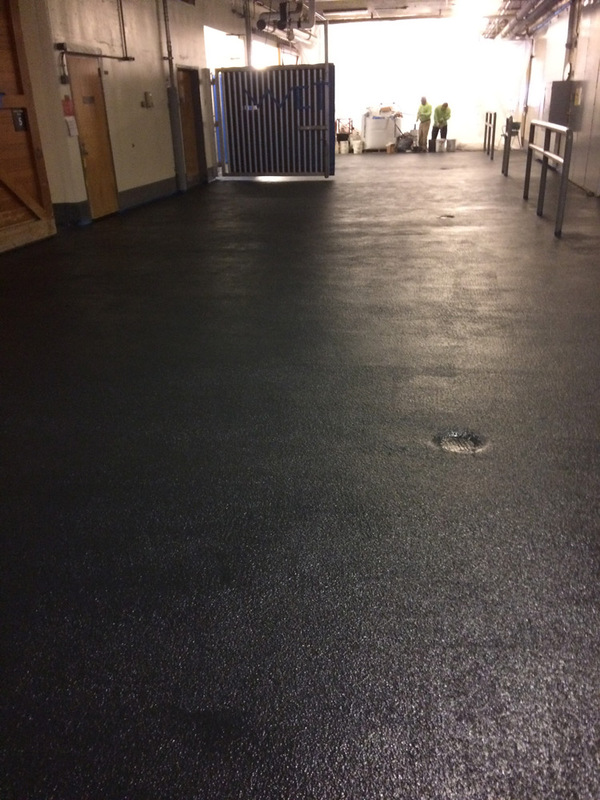 The top coat is actually pressed into the upper layer of the porous surface so that the liquid proofing does not erode or wear away. 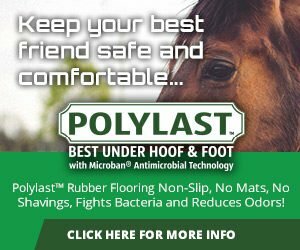 Polylast Horse Flooring is non-slip, reduces leg impact shock and concussion on horses hooves, which means that even horses with hoof and leg soreness are more stable and comfortable. Since horses don’t have to strain to maintain their footing they can be more relaxed. 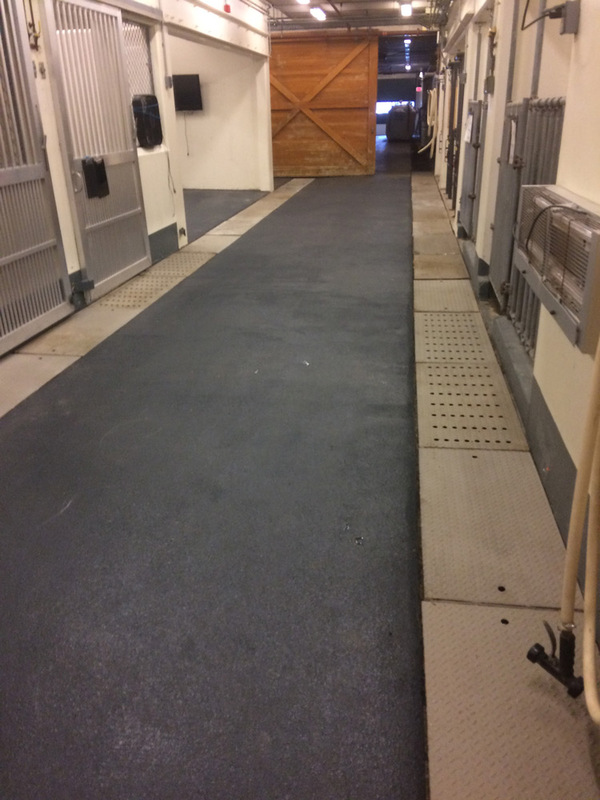 Polylast Horse Flooring is infused with Microban® Antimicrobial Technology to help prevent the growth of damaging bacteria, as well as inhibit stains and odors caused by bacteria. All while staying cleaner longer between washings! 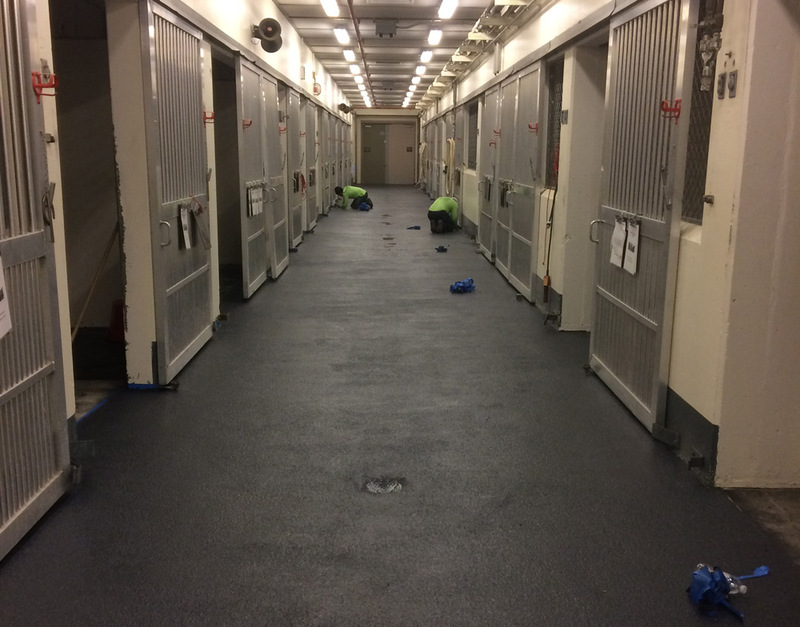 Also no more mats or bedding. 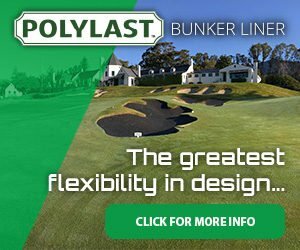 Polylast comes with a 10-year warranty. 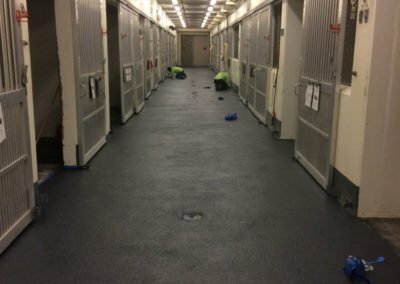 How do you avoid bedding in the stalls? 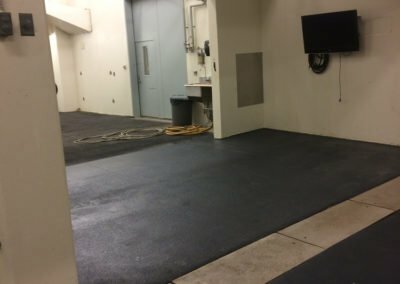 What happens to the urine? 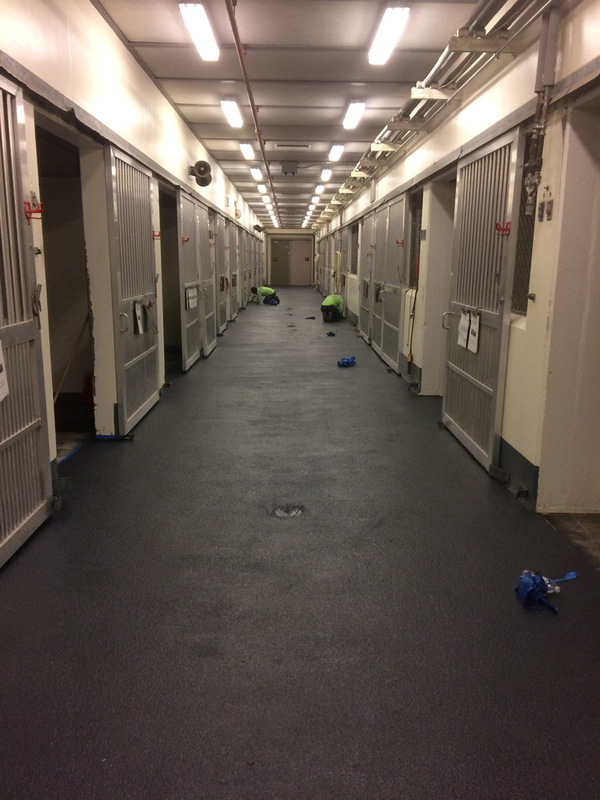 Seems like the horses would get all wet from urine if they lay down in their stalls. 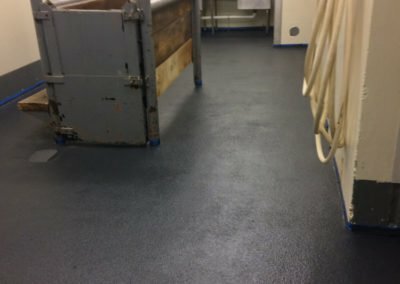 It is very easy to wash and the floor is still non-slip even if wet. Feel free to call or email us with more questions. If you would like we can connect you with a dealer in your area. 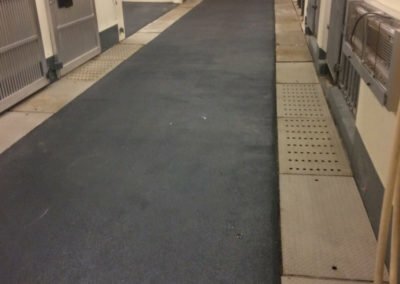 They can come out and take a look at your project.